This year's first Strategisk Informationssäkerhet course marked a departure from paper-based documentation. Farewell, course binders! We've used an online teaching platform for years but in the absence of printed material, the platform becomes a critical course component. Next time, we'll add a wiki for ideas and links to further reading/listening. 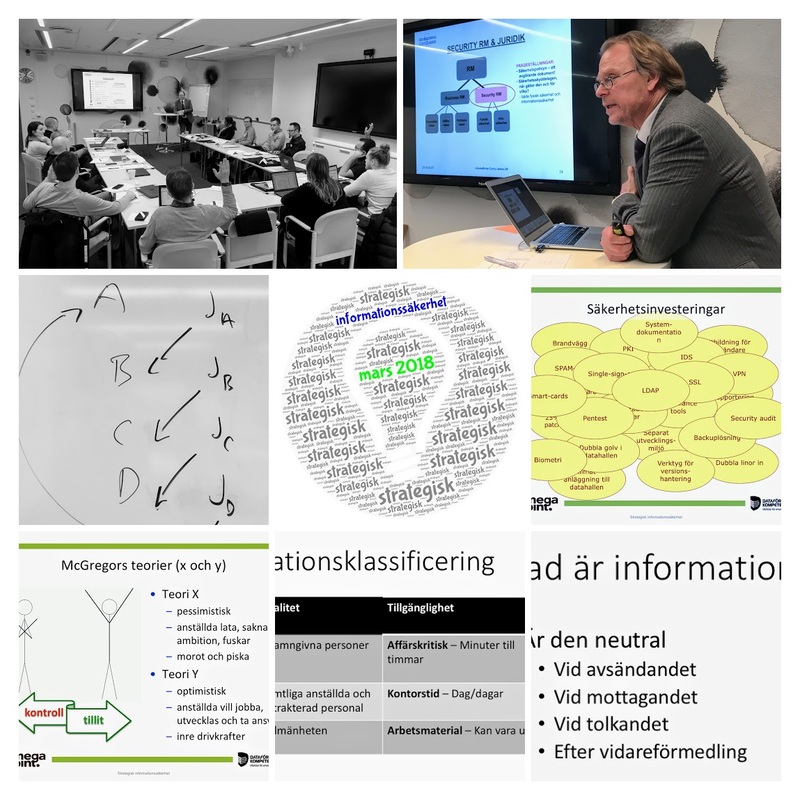 As always, Conny Larsson (in the photo collage) lectured on Security Law. Other guest lectures covered Influence Operations and Security Policy.